A critical performance management tool that often goes underutilized and undervalued is that of the exit interview. It might feel awkward for employees to sit down and cover in detail the reasons they are choosing to leave your company, but soliciting their advice and taking note of their feedback is a valuable way of repairing broken processes and streamlining your systems. Employees will generally take any opportunity to skip the exit interview and many feel that such an interview can never be truly honest and reflective. However, if you are able to conduct these one-on-one interviews prior to your employee’s departure, you will find that these conversations can be genuinely productive. They can provide valuable HR insights into how to improve performance management processes in the future, thereby potentially improving overall retention rates and boosting productivity. 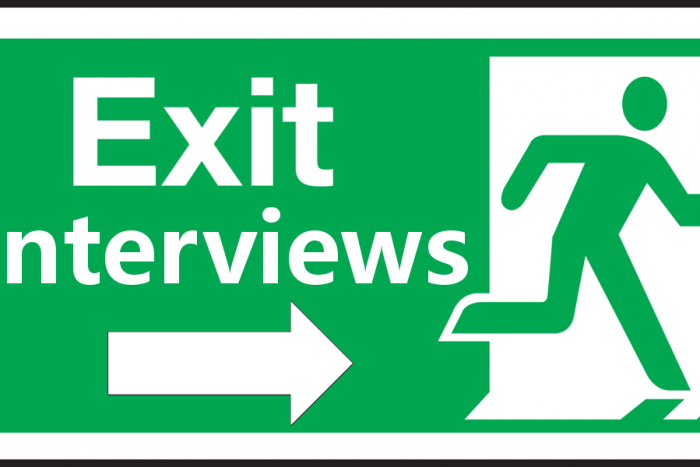 Below are just a few examples of how exit interviews can be illuminating and beneficial to HR executives. Your employee’s experience with your company begins with onboarding, so this is a great topic to cover during an exit interview. Ask your departing employees if they feel they got all the attention and training they required in their early days in the company. A great onboarding process can make you feel welcomed and accepted, while poor onboarding will leave an employee with a sour taste in their mouth and a lack of enthusiasm about their future at your organization. Employees can’t simply be shown their desk and expected to perform to standard. They need to be introduced to the company and its processes, given an understanding as to how their role fits into company objectives, and given the training necessary to excel. It has been shown that the onboarding process is directly linked to retention. If your exit interviews reveal that your onboarding process is wanting, you know where to focus your attention in the future. By now, we all understand the value of meaningful, regular discussions between manager and employee, which is why terrible managers are largely characterized by a lack of valuable communication. Use exit interviews to get an accurate picture of the quantity and quality of one-on-ones between manager and employee. Did they happen once in a blue moon? When they did happen, was the manager distracted, vague, or unhelpful? Did the employee ever receive the feedback and recognition they needed? Increasingly, employees want more feedback. They often require it in order to perform optimally. If your exit interviews reveal that performance discussions were a rare, unhelpful occurrence, this is a great starting point to revamp and rejuvenate your performance management system to improve performance and productivity. Moving forward, you might choose to ditch your annual performance appraisals in favor of more valuable, monthly check-ins. In this modern age, flexibility means a lot to employees. In fact, flexibility is a top perk that will help you attract and retain top talent. Exit interviews can be used to ascertain whether or not your employees felt frustrated with your attitude to flexibility. Did your rigid and old-fashioned attitude towards a 9-5 work schedule interfere with their work-life balance? If so, this could easily impact their morale and engagement levels, which has a direct impact on employee performance. Exit interviews can prompt useful and productive discussions regarding flexibility and how your company can evolve in this regard as the years progress. During exit interviews, be sure to ask what the departing employee thinks about your company culture. What did they appreciate? What could your company improve? How can you improve employee experience to minimize future staff turnover? These interviews should be taken seriously, especially if you see a pattern developing. Are more and more people expressing a desire for flexible working hours? Do they think the company could be doing more to encourage teamwork? These questions are critical performance management considerations, given the direct link between company culture and company performance. Most employees want to do a good job and perform well at work, but according to Gallup, not many of us are actually clear on our workplace objectives. If your goal-setting process is inefficient and your employees are not clear with their SMART objectives, how is it possible for them to be truly productive? During your exit interviews, talk about the goal-setting process, whether or not they were clear about what they were meant to be doing on a day-to-day basis, and if they received the feedback they needed. You can use this interaction to discover how you can make existing and future employees feel more engaged and empowered in relation to their daily objectives. Remember: although exit interviews can be a valuable performance management tool when it comes to improving engagement levels and overall productivity, discussions such as these should not be limited to an employee’s departure. It’s important to get regular employee feedback on existing processes in order to minimize turnover and keep top employees from jumping ship in the first place.